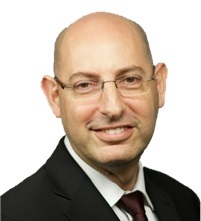 The Jordan U.S. Investment Forums, which are organized annually by the American Chamber of Commerce in Jordan, provide a platform for enhancing U.S. – Jordan business ties. The 2018 Forum will have a particular focus on motivating companies to address the unprecedented challenge of the refugee crisis in Jordan, thereby enabling the private sector to grow their business while directly helping refugees and host communities by investing in and sourcing from Jordan. 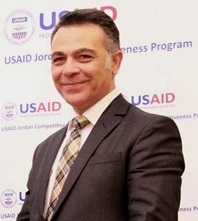 The Forum will be held in two cities of New York on June 25th and in San Francisco on June 28th, and is being organized in partnership with the Tent Foundation and Connect.JO and is receiving support from USAID’s Jordan Competitiveness Program. The Forum is will bring together senior Jordanian government officials, international development organizations, and distinguished representatives of Jordanian and American businesses to highlight Jordan’s strong business and investment climate. 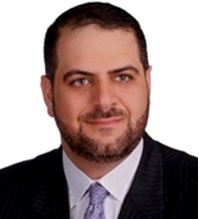 Learn about the investment and business climate in Jordan. Identify opportunities for your company to expand its operations in Jordan. Understand best practices about doing business in Jordan and forge new partnerships. Hear from high-level officials from the Jordanian government and international institutions about national and global initiatives to help facilitate business investments in Jordan. Please email lana.nimri@amcham.jo with any questions about this forum. TechWadi is the leading Bay Area non-profit organization working to create bridges between Silicon Valley and MENA innovators and entrepreneurs. Every year, in celebration of the organization’s work and mission, TechWadi hosts a Forum bringing together technology movers and shakers from across the globe. On January 27, 2018, TechWadi will gather a group of new and established entrepreneurs and startups from all around the world. We will recognize emerging leaders and noteworthy professionals in the community. Programming will cover a variety of topics including: HealthTech, FinTech, Big Data, Public & Private Partnerships, Next Generation Commerce and MORE!. Connect.JO is pleased to extend an invitation to Jordanian undergraduate and graduate students in your university to attend an event in Washington, DC that coincides with the Global Diaspora Week. Connect.JO is a network that aims to address Jordan’s brain drain challenge. The network was officially launched in November 2014 in Amman and is composed of Jordanian diaspora professionals in Healthcare and Life Sciences (HLS), Clean Technology (CT), Information and Communications Technology (ICT), and Finance & Investments (F&I). The network aims to establish a strong linkage for professional Jordanians abroad, help individuals and startups from Jordan through accessing a foreign country’s technology business environment, support Jordanian companies in gaining access to foreign markets, and assist diaspora members in setting up their businesses in Jordan. The network will also help Jordanian graduate students in obtaining scholarships to foreign universities or internship opportunities in foreign companies. As a registered initiative with the International Diaspora Engagement Alliance (IdEA), the leading global platform on the topic of engaging diaspora groups, Connect.JO is participating in IdEA’s Global Diaspora Week (GDW) dedicated to diaspora communities and their contributions to global development. Under the title “Entrepreneurship and Youth; a combined impact for the Jordanian Diaspora”, Connect.JO aims to leverage its participation in GDW to highlight the combined impact of entrepreneurship and youth on the betterment of Jordan and its people, by brining in a selection of Jordanian undergraduate and graduate students in the U.S. to have a productive and collaborative discussion on their role. The theme of the event will be about the engagement and empowerment of the Jordanian youth diaspora and how Connect.JO can help them as potential entrepreneurs. Duration: 12pm till 5pm ET. Participants: Eligible students, members of the Connect.JO team in addition to several prominent Jordanian Americans. The first Connect.JO Diaspora event in the U.S. will take place on April 8th in Silicon Valley. The event aims to present the Network's and their future impact on Jordan's economic development, competitiveness and job creation.